This is my favourite book! :) It's very very gripping. I think it is quite an accomplishment when the reader takes on the emotional development of the character. This sounds interesting. I have really been wanting to read this one. It sounds like such an emotional and powerful read. Thanks for the review. The whole Stockholm Syndrome is fascinating to me. This sounds like a good read! Wow, this sounds really fascinating. I don't know why, but for some reason, when I looked at the cover (I've seen this around before) I thought it was going to be about fairies or something, just another to add to the glut of cliche ya books out there, but it clearly isn't that. Might have to read this one. I totally agree about the camel scenes! I practically cried every time she came up! I'm still trying desperately to get through this one, but your review has renewed my curiosity. Camel scene? Yeah, I need to keep reading. I couldn't put it down. A stunning book! 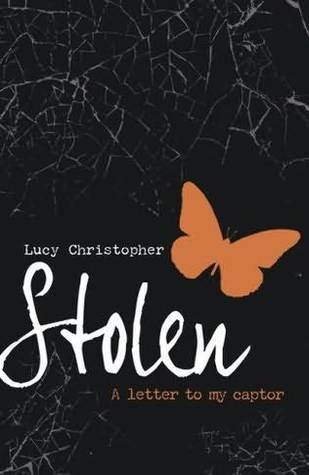 Here is my review of Stolen by Lucy Christopher.